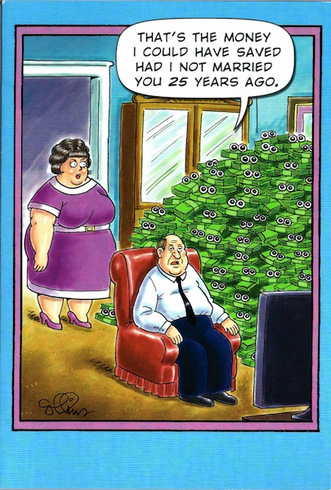 That's the money I could have saved had I not married you 25 years ago. .... Happy Birthday, big spender.